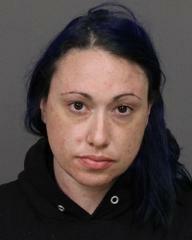 Two burglary suspects were taken into custody May 21 by a Pismo Beach Police officer and transported to the San Luis Obispo Police Department (SLOPD). 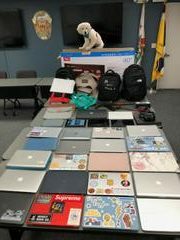 For nearly three weeks, students and community members near Cal Poly’s campus were victim to multiple laptop, backpack and electronics equipment thefts. Even a puppy was stolen. Journalism junior Megan Day lives on Hathway Avenue and said she felt completely violated when she learned that her backpack had been stolen from her room. Day spent the evening of May 19 at a friend’s house and arrived home the next morning to a grim scene. She said she didn’t leave her backpack out in the open, so the thief had visibly riffled through her room in search of her valuables. The thieves, identified by police as 37-year-old Veronica Weitz and 29-year-old Christopher Jones of Oakland, stole Day’s backpack, laptop computer, school books and wallet. It was only on May 22, after SLOPD Chief Deanna Cantrell had tweeted a photo of the stolen items, that Day learned her laptop had been found. Though Day was relieved, she couldn’t help but be conscious of the security of her home. One of her roommates was home in bed when the burglary occurred. After the burglary at Day’s residence, a surveillance photo was taken of Jones as he spoke on a cellular phone outside of another victim’s home. SLOPD posted the photo to their website and other social media outlets in hopes of citizens spotting the perpetrators. The Pismo Beach officer that conducted the traffic stop and detainment of Weitz and Jones was able to recognize them as he recalled that photo from the department’s website. When their vehicle was searched, more than 20 laptops, varying electronic equipment and a puppy were discovered. The puppy has been reunited with its family. SLOPD Capt. 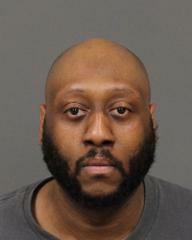 Chris Staley said the most recent string of thefts, including that of Day’s backpack, targeted residences on Foothill Boulevard, California Boulevard, and Hathway Avenue. Victims of the recent burglaries can identify and retrieve stolen property by contacting SLOPD Detective Jason Dickel at 805-594-8028.